Vase, crystals and ribbon rental. Make A Balloon Basket and Gift Florist your first choice for premium fresh flowers and upscale balloon design artistry for your dream wedding and all your special occasions! Just starting your wedding business-need wedding equipment-we have:call after April 4, 2016. While our talented design experts are skilled in creating all types of bridal bouquets, we specialize in doing the popular hand-tied bouquet styles that appear to have been freshly-picked from the garden. 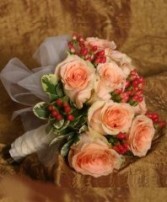 When choosing your flowers, select a style that goes with your gown and wedding décor. Let us customize your bouquet with trendy accents such as: crystals, pearls, berries, butterflies, rhinestones, fruits, or feathers. 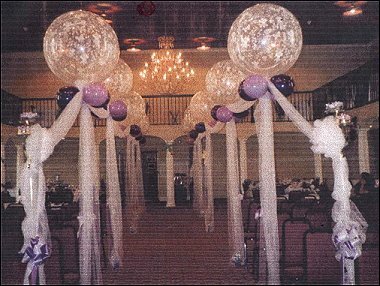 Our brides and baby shower customers are allowed to use a facility we decorate. 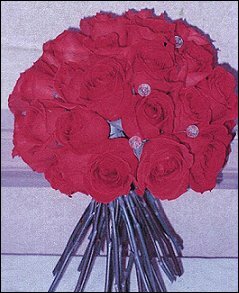 Flowers are a natural way to say “I love you.” Call A Balloon Basket and Gift Florist today! 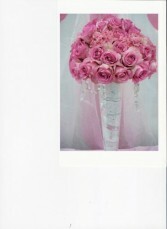 A Balloon Basket and Gift Florist offers WEDDING DECOR for the rehearsal, ceremony and reception. 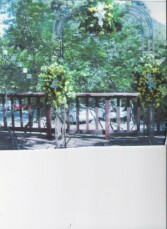 Ask about our wedding rentals- columns, candelabras, fountains, lighted cake plateau, lighted cake topper, linen, aisle runners, coffee urn, stainless steel chafing dishes, imprinted wedding balloons, and accessories. 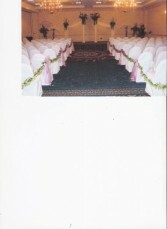 Invitations and other imprinted gifts engraving, notepads, napkins, etc. Wedding Balloon Drops or Bombs over the dance are simply beautiful! 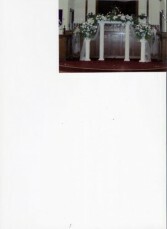 Some rentals included if we decorate your wedding. You don't need to pick up. We are a charter board member of the Mississippi Bridal Association and we have decorated the wedding aisles at the MS Bridal Show each January for the last 14 years. 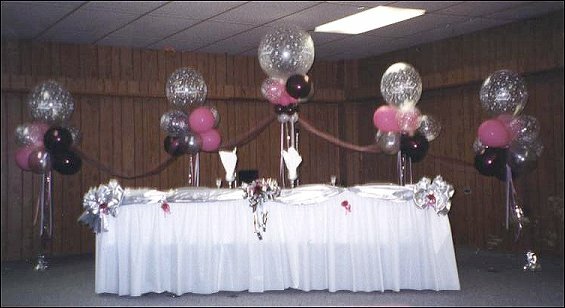 Balloons can set the tone for that special event!! Add balloon arches, balloon drops, balloon releases, balloon trees, etc. to liven up the decorations at corporate events! We will decorate, set up and clean up. Confetti cannons, spot lights, fog and bubble machines are available. For your convenience, we can also provide china, flatware, stemware, coffee and tea urns for small dinner parties. 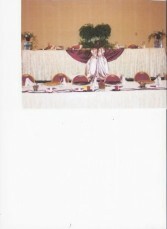 We do lighted back drops to cover walls/ceilings. Let us design your corporate gifts for meetings and the holidays. If you wish to add your corporate logo items, it's no problem. We do not guarantee outdoor decor. Sun, rain, temperature, hail, any inclement weather,etc. will affects product and setup time. A Balloon Basket and Gift Florist is more than just your average flower shop! Call (601) 969-6482 to schedule a consultation and let us help you plan an unforgettable event! We are available Monday through Friday 9:30 am to 7:00 pm - appointments start late afternoon. Saturdays based on schedule. We will deliver to a restaurant after 3:00 pm with prior day arrangements. Our message service is available 24/7 or contact thru our web and leave message. Event decorating is available 7 days. Our site is mobile-friendly - order now. Just starting your business-need wedding equipment-we have:call after April 4, 2016.